When missiles will fall on Tel Aviv's streets, what will we wear and what music will we like? 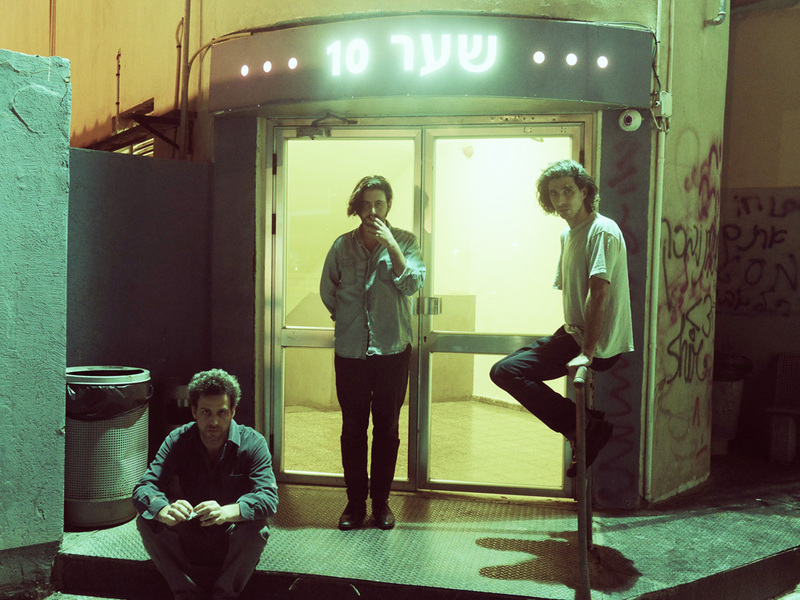 Tel Aviv natives, Vaadat Charigim are a trio consisting of Juval Haring, Yuval Guttman and Dan Fabian Bloch. Their music is a blend of 80s Israeli underground rock with a more European Post-Punk sound, drawing influence from local noise pioneers Plastic Venus, as well as Israeli post-punkers Minimal Compact. Despite the fact that all their songs are in Hebrew, and the obvious language barrier, songs that have leaked online in recent months, have won the band praise and a small yet growing online following, partly due to Haring's unique vocal style. Producer Kyle "Slick" Johnson (who has worked with the likes of Modest Mouse, Wavves and Cymbals Eat Guitars), worked for longs months together with the band, on their debut album - "The World is Well Lost", which was recorded by the band in a south Tel-Aviv apartment. It was released in late 2013, through Burger Records (cassette), Warm Ratio (vinyl), and Israeli label ANOVA (CD/digital). The video for Vaadat Charigim's "Lehitorer Velo Lada'at" was edited by Yotam Wax from original material by the artist Dudu Geva. The footage was taken from a handmade animation film Geva made in 1979 for the Israeli Channel One, titled "Little Star". This video was made possible courtesy of the Geva family, and Channel One Archives. Dudu Geva was a key figure in developing the underground, subversive and independent Israeli art scene, with his unique sense of humor and grotesque and satirical visual world. Geva was also one of the first to publish independent comic books of his own creation in Israel.